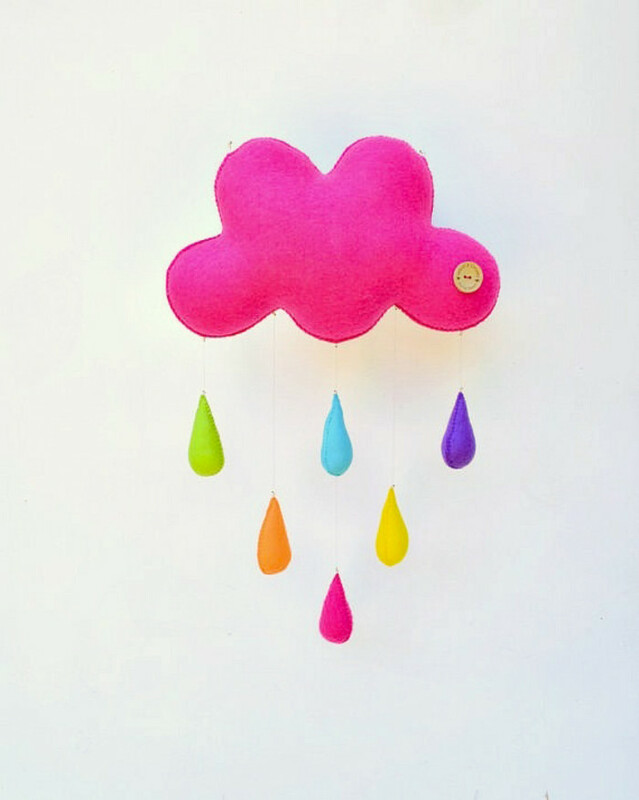 A bright pink cloud mobile made of soft felt with 6 raindrops in bright happy colors. 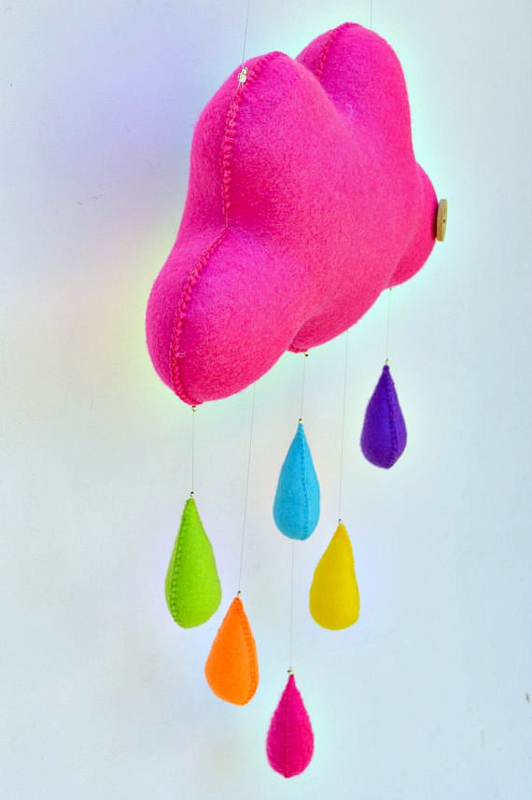 A fun and funky feature item for a kids room or nursery. It is completely sewn by hand and strung on clear fishing line so it appears to float in mid air!! Made to order, please allow up to 3 weeks for delivery. 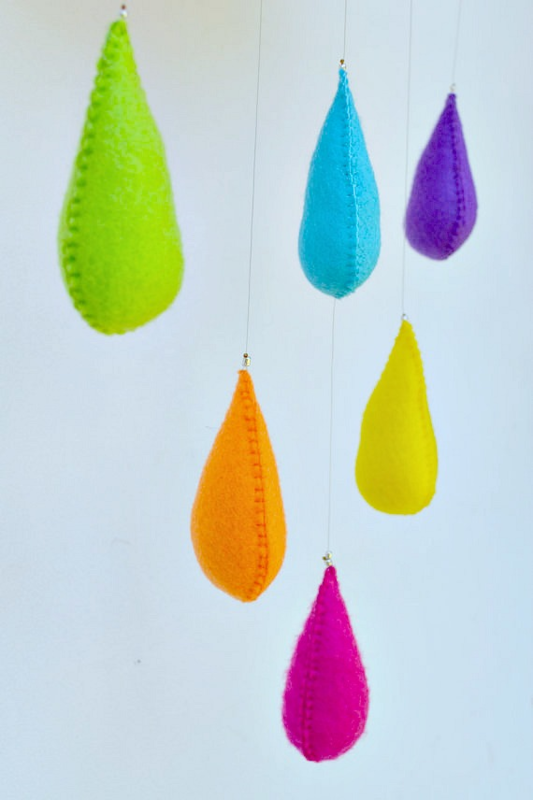 Overall size and shape may vary slightly as each mobile is completely handmade and unique. If you need this mobile made and delivered quickly, please select the express post option. (extra costs apply) I will have it delivered to you within 5 business days. TOTAL LENGTH- 93 cm / 37 inches from hanging ring to longest drop.